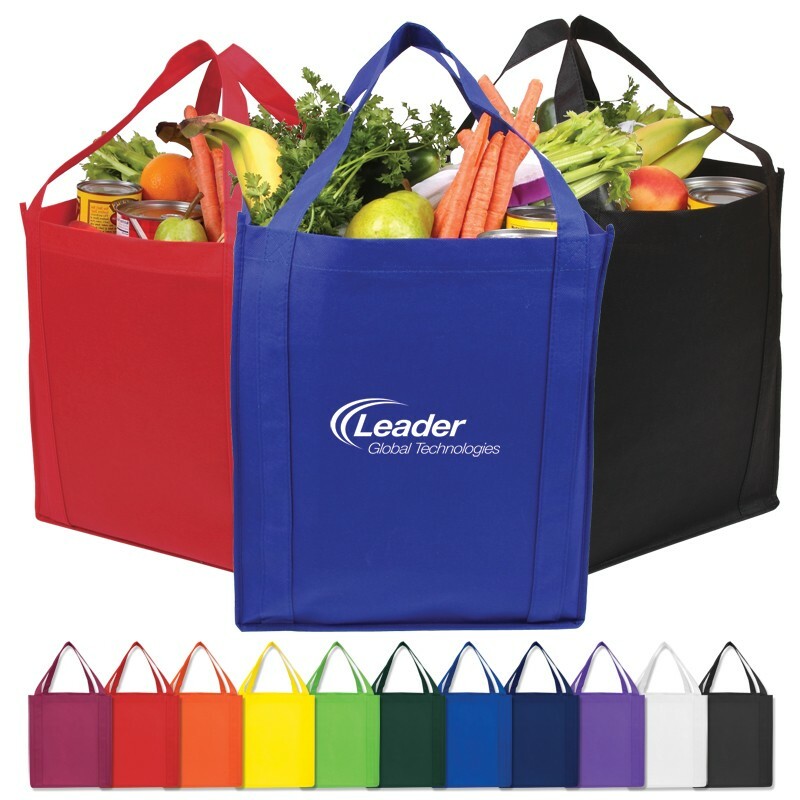 Have you been looking for realistically large custom printed grocery tote bags? Some totes just don't cut it, especially when your customers shop for a family of four. These jumbo grocery tote bags are the solution, and with 20" reinforced handles will prevent any unfortunate breakage situations in your store's parking lot. Like many of out other custom tote bags, these are made from eco friendly recyclable 80 GSM polypropylene, so you can feel great about your purchase of these custom screen printed reusable grocery tote bags.